BALTPOOL is a joint stock company. BALTPOOL was established on 10 December 2009. Litgrid, the Lithuanian transmission system operator, was the incorporator and the sole shareholder of the company. 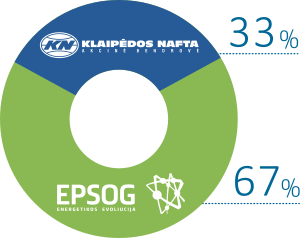 On 18 May 2011, AB Klaipėdos Nafta purchased 33% of BALTPOOL shares from Litgrid. On 1 March 2016 Litgrid sold all 67% of BALTPOOL shares to EPSO-G.